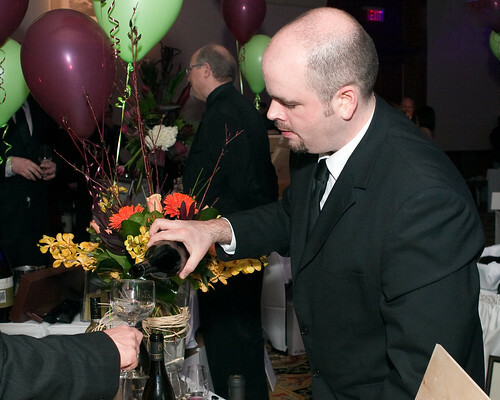 NOTE: Cuvée, a celebration of Ontario wine and cuisine, is coming up fast. Here’s what you need to know if you plan on taking in the festivities. Information provided by the organizers. Now in its 26th year, the Cuvée Wine Weekend, one of the wine industry’s most anticipated events, is gearing up for the Cuvée Grand Tasting that will shine the spotlight on Ontario winemakers. The Cuvée Grand Tasting Gala, which takes place on Friday, Feb. 28, at the Fallsview Casino Resort, will celebrate the best of Ontario wine and cuisine. Winemakers from 51 Ontario wineries have selected their favourite wine to be showcased at the event. While guests sip their way through some of the province’s best wines and meet the winemakers responsible for creating them, they will also enjoy culinary masterpieces created at live cooking stations by ten of Ontario’s top chefs. Following the Grand Tasting, the celebrations continue with the Sun Media Après Cuvée Party, featuring music, dancing, an Icewine and Sparkling Bar and Craft Beer Bar. Cuvée Wine Weekend tickets also include a Cuvée en Route tasting passport. From Friday through Sunday, weekend guests can visit any or all of the 32 Cuvée en Route participating wineries and top off their experience by shopping, touring and tasting their way along the Wine Route. Participating wineries will offer exclusive tastings and restaurants will offer special meals and menu items as part of the Cuvée en Route passport program. Ticket and event information, as well as announcements about participating wineries and chefs, details about the Cuvée en Route passport and overnight accommodation packages can all be found on the Cuvée website, here. Proceeds from the Cuvée Weekend go to the Niagara Community Foundation. Created in 2000, the Niagara Community Foundation has raised more than $23 million in endowment funds and has granted in excess of $5.5 million to charities working in the arts, heritage, environment, social services, health, education and community development. The chefs will present their creations alongside the variety of more than 50 VQA wines that have been specially selected for the Grand Tasting Gala by Ontario winemakers representing wineries from Niagara, Prince Edward County and Lake Erie North Shore. From sweet grass and cider braised boar shoulder with Niagara bruschetta squash chips to southern fried Canadian “cold water” shrimp, the evening’s culinary options offer something sure to please all palettes. Guests will also enjoy a selection of artisan cheeses from The Dairy Farmers of Canada and an assortment of gelato from Italian Ice Cream.